Golfing in the Lake Tahoe area is world-class. There are over 20 golf courses around the lake and nearby. Edgewood Tahoe (shown above) is right on Lake Tahoe and is a must play for any golfer in the area. 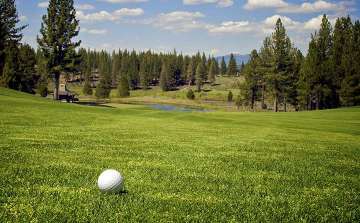 Golf course homes in Lake Tahoe are available in many areas and vary in size, condition and price. There are a number of newer golf course developments offering vacant lots on a golf course. 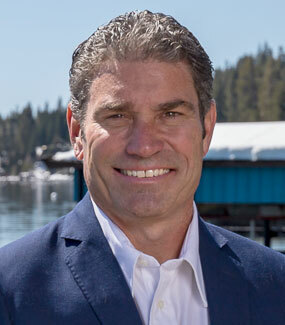 Truckee currently has the most golf course properties for sale in the Lake Tahoe area. Here’s an interesting piece of information for golfers: Since we are at such a high elevation in the Lake Tahoe area; the air is thinner and your ball will fly further! Longer drives: Another great reason to move the Lake Tahoe area.